Sheer shades are a premium shade with an elegant sheer overlay that softens light and adds a level of privacy. A soft fabric vane is wrapped in sheer linens and silks creating a silhouette style product. Sheer shades can be made vertically or horizontally. Their features include full light control and motorization. This product will add elegance to any room. Sheer Shade is a sophisticated product which is custom made to your specifications and this high-end product combines luxurious, silky fabrics with the simplicity of a horizontal blind. Very popular for over 3 decades, sheer shades are made of soft light filtering fabric slats intermingled between two fine fabrics. As a result, they offer you a range of opening possibilities and the perfect control over desired brightness. Not only are these blinds affordable, they are an excellent sustainable investment with a modern classic look. 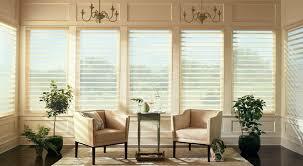 An Advantages of the Sheer Shade is they are not your average window blinds. Sheer Shades stand out with their silky, delicate fabric and has the advantage of having no visible seams. The soft 3’’ fabric vanes are nestled between 2 fine fabrics which diffuse the light in a harmonious way. They are designed with a looped cord that precisely slants the vanes of the shade to generate the perfect atmosphere in any room. Not to be qualified as a budget blind, the sheer shade is of superior quality and appearance. It has the refined valance has a superior finish which is very elegant and only enhances the sophistication of this shade. 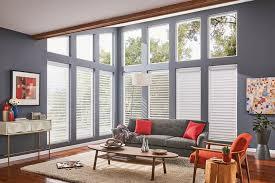 Not only will these window shades exceed your expectations, these window treatments will last for years to come. At DC Shutters, we understand that clients have different needs and preferences, which is why we provide a variety of shades with different designs. 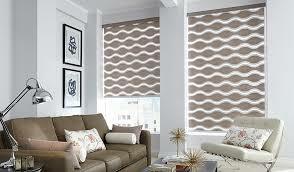 Depending on your budget, you will find economical and premium priced shades. We offer roller shades in light filtering, blackout vinyl, and blackout fabric, in addition to a wide selection of colour and texture choices. When you visit our showroom, our experienced team of designers will help you choose the best product option that suits your needs. Contact DC Shutters for High Quality Sheer Shades in Brampton, Toronto, Oshawa, Oakville, Kitchener, Waterloo, Hamilton, Niagara, Toronto, Richmond Hill, Aurora, Newmarket, Ajax, Whitby, ON.